THE MISS GREAT BRITAIN COMPETITION CELEBRATES 75TH ANNIVERSARY IN 2020! To celebrate and coincide with the 75th Anniversary of Miss Great Britain, we are thrilled to announce that the next National Final will take place in 2020! Already excited for this year/have already submitted an application? Then please don’t worry all regional heats and web selections will still be going ahead this year, this decision just means finalists will have longer to prepare for the National Final early in 2020! Our 75th year is going to be the biggest and best yet, so keep your eyes peeled across our social channels for more news……..
Miss Great Britain 2018/19 is Kobi-Jean Cole! *Image copyright of Jin Rathod Imagery and must not be copied, altered or shared without photographers permission. 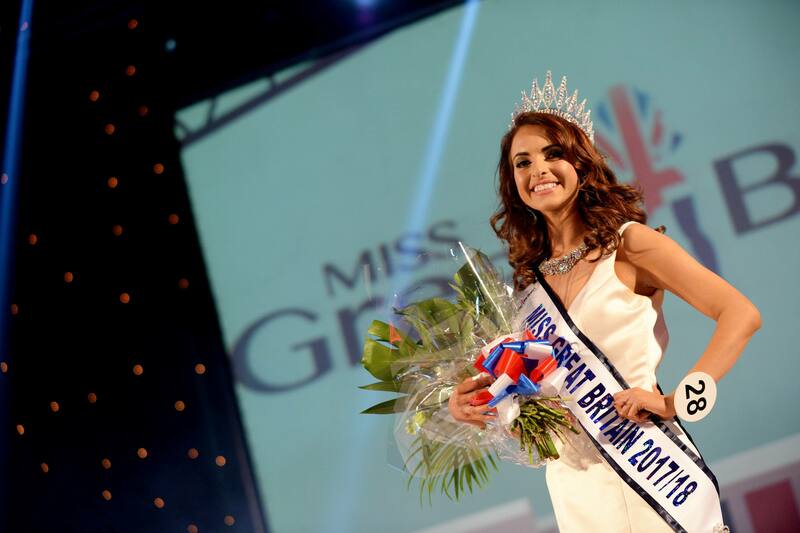 The National Final of Miss Great Britain 2018 took place on Friday 14th September at the Athena in Leicester. 52 girls from across the UK competed for the prestigious title. Family, friends and sponsors of the 52 finalists were in attendance to see 23 year old Kobi-Jean Cole crowned Miss Great Britain 2018/19. Kobi-Jean, from Bristol won the title of Miss Bristol to qualify for the National Final. The show, which is organised by Kreative Group/ModelZed Events Ltd, was held for the 6th year at the gorgeous Athena in the heart of Leicester city. The show opened with a spectacular dance routine courtesy of Stacie Lovell Dance Academy followed by a dance scene featuring all finalists dressed in white. 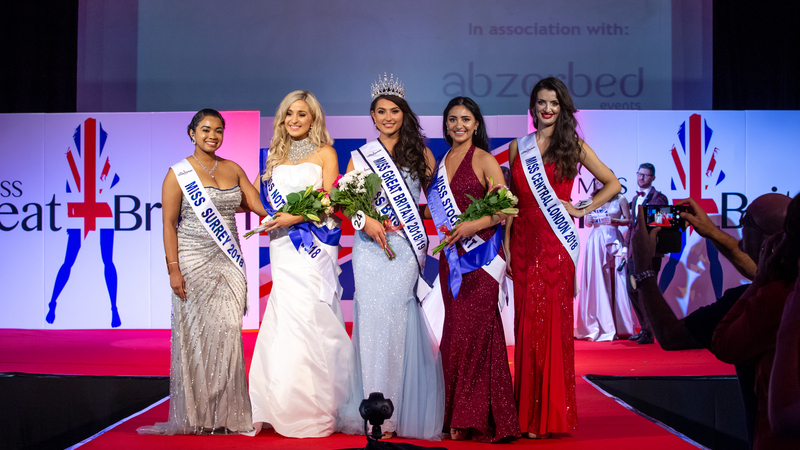 The top 5 (pictured below) were: 5th Elle Ismaili (Miss Central London), 4th Tiffany Bayliss (Miss Surrey), 3rd Maddie Wahdan (Miss Stockport ), 2nd Amy Beilby (Miss Nottingham) and the winner Kobi-Jean Cole (Miss Bristol). The event and finalists raised in excess of £15,000* for our chosen charities: Globals Make Some Noise! *Official amount to be confirmed soon as funds are still being collated. Miss Great Britain® 2017/18 was Saffron Rose Hart from Hull. *Image copyright of Pukaar News and must not be copied, altered or shared without photographers permission. Saffron, proudly represented Hull at the Miss Great Britain 2017 final. We still work very closely with Saffron as one of our former winners and she will play a big part in coaching Kobi throughout her Miss GB journey. We wish Saffron lots of luck in all of her future endeavours. Miss Great Britain was Established in 1945. We were excited to announce that we appointed a new director and team in 2013. After an extremely successful 6 years and 6 fantastic National finals, Kate Solomons & the team at Kreative Group are working hard on future events. 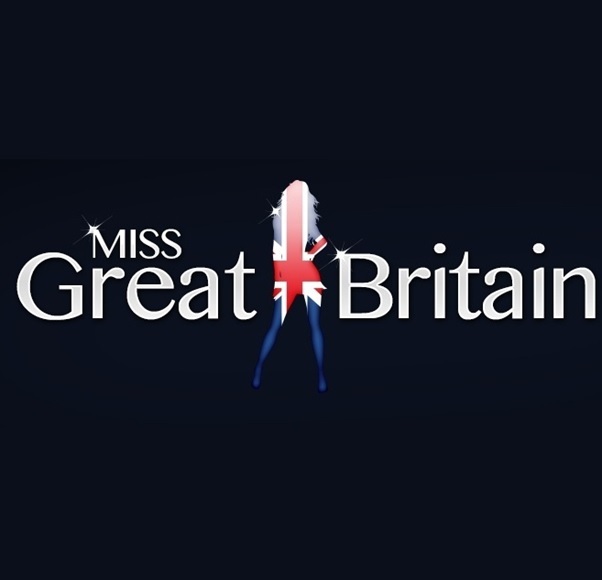 Miss Great Britain will be ran as a live final across 2 days in September*, auditions and heats will be organised across the UK to select the finalists to compete. 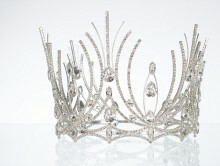 We at Miss Great Britain pride ourselves on our ethos ‘Beauty Throughout’. Our contestants are not only judged on their physical appearance but on all attributes a strong, successful and independent young lady should possess. Personality and interview technique will play a large part in the selection and judging process.